Volkswagen is one of Germany’s finest automakers. This brand has been imported into the U.S. and Canada for decades. Volkswagen has never used concept car tricks, fads or other marketing tactics to try and let the public know how great the vehicles are. When it comes to replacing an engine, Volkswagen is one of few manufacturers with engines that hold resale value. Getting a good deal on a used Volkswagen engines for sale is something that you’ll find easy to do here. Our team can pair you up with the perfect engine for the budget price you’re searching for online. Used engines is our business. We choose to sell VW motors because we are well aware of what our customers want. We get a lot of requests for engines and this is part of the data we use here to provide motors that sell. Nothing is as worse as an engine dealer than to have inventories of motors no one will purchase. Our customers supply us with used engines that they need and our purchasing team finds the VW engines through our partnerships. The makes and models of Volkswagen motors that we have include most of the classic and late model editions. You can find motors for the Beetle, Cabriolet, Eurovan, Fox, Gulf, Jetta, Passat and Rabbit vehicles. This is just a small sample of what we provide each day to customers in the U.S. and Canada. Did you know over 50 percent of our shipments are two automotive businesses? These companies include regular mechanics small body shops, salvage companies and even junkyards. Our used VW engine supply is constantly replenished. We’re able to send these engines out for free most of the time. This additional cost savings goes over pretty well with engine customers. Getting an imported engine for less and then getting free shipping is almost too good to be true. 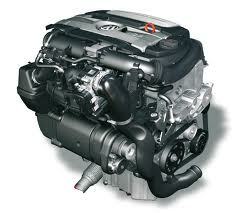 We have the gasoline versions, diesel versions, 4-cylinder, V6 and other engines in stock. You’ll never be without plenty of options when we’re your engine supplier. The reason we get so many engine deals is our knowledge of the business. We know when to say no to engines and when to say yes. There is unfortunately a lot of garbage out there. We wade through what suppliers and wholesalers can sell to us. We put our mechanics that work in our shop to the test each day. The physical and computer testing that is performed here is always highly accurate. Nothing is problematic that leaves our engine warehouse or we fix it for free. Do you appreciate online quotes? If you do you’ll love our website. We’ve totally pioneered the way that quotes are sent out to customers. The form we built is amazing. It links you with our in-house database. This helps our pricing stay 100 percent accurate. We do phone quotes just as fast. Try calling our toll free number today. We’ll get you a great used VW engine for super low Internet-only price.